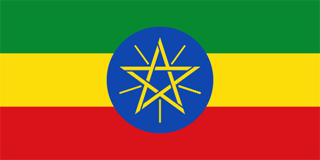 The flag of Ethiopia was officially adopted on February 6, 1996. 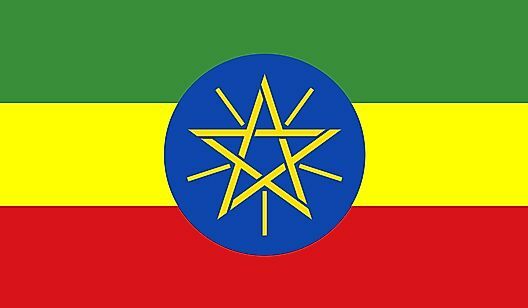 It features the Pan-African colors; green is symbolic of Ethiopia's land, yellow is the color of peace and love, and red the color of strength. The centered gold star on a blue shield is said to represent unity. 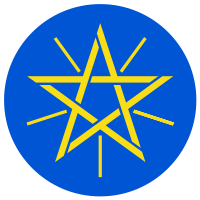 The emblem of Ethiopia is composed of a golden pentagram (symbolizing the unity of the people) with radiating rays of light within a blue circle.